The Trans-Pacific Partnership: What’s Behind the Secretive Negotiations? 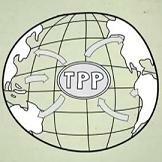 The Trans-Pacific Partnership Agreement is a proposed free trade bloc involving twelve Asia-Pacific countries, including the world’s first and third largest economies. As delegates prepare to descend on Kuala Lumpur for the next round of secretive negotiations, Malaysia-based journalist Nile Bowie joins us to discuss the proposed treaty and its ramifications. Find out more in this week’s GRTV Feature Interview.